The construction of Bolling Field was not yet complete when, following the Armistice, the question arose as to its future as an active station. After the war, there was enormous public pressure to reduce military expenditures during this period, as well as some element of doubt in Air Service circles as to the best location for a permanent aviation field in the Washington area. Some consideration was given to locations at College Park, Maryland, and near Mount Vernon, Virginia. However, the existing location began to look more appealing because of the cost involved in transferring the facilities elsewhere and the fact that real estate in other locations had become more expensive when it became known that the Air Service was interested in acquiring property. 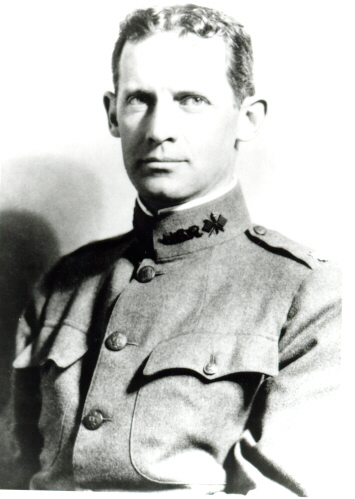 Brigadier General William "Billy" Mitchell, Assistant Chief of the Air Service and pioneer exponent of air power, tipped the scales further in Bolling's favor when he stepped into the breach and made his views undeniably clear as to the advantages of keeping Washington's primary flying field in its present location. At one point in this seemingly endless battle, Colonel Oscar Westover, later to become Chief of the Air Corps, even recommended "that the activities of Bolling Field be suspended, at least for the present." On June 4, 1919, Colonel Westover, in his capacity as Assistant Executive of the Division of Military Aeronautics, directed that Bolling Field be closed and cease to operate as an active Air Service station after June 10 and that it be abandoned as soon as possible thereafter. No record could be located of an outright cancellation of this order. However, in a memorandum to the Chief of the Air Service, dated June 12, 1919, signed by General Mitchell, the following statement appeared: "It is understood that Bolling Field is not to be abandoned for the present at least." There is a pencil note on this memorandum with "O.K." followed by the initials "CTM" - no doubt those of Major General Charles T. Menoher, Chief of the Air Service. 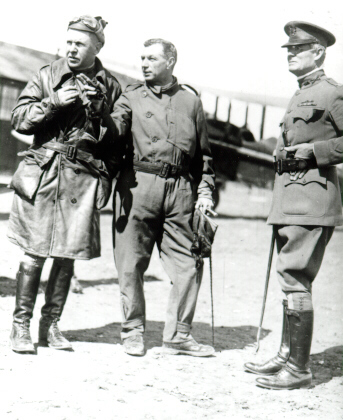 By October 1919, General Mitchell was Acting Chief of the Air Service and, of course, unwilling to part with Bolling Field or anything else that would contribute to the development of Army aviation. General Mitchell presented a strong case to the Secretary of War for extending the license for use of Bolling Field. He requested that the Air Service be authorized the indefinite use of this property, "or until some other site is prepared and ready for occupancy, to which the Air Service activities for the vicinity of Washington can be transferred." General Mitchell also pointed out that the existing arrangement was so uncertain and indefinite that it precluded the possibility "for the arrangement of definite plans for the disposition of troops, equipment and Air Service activities in the vicinity of Washington." 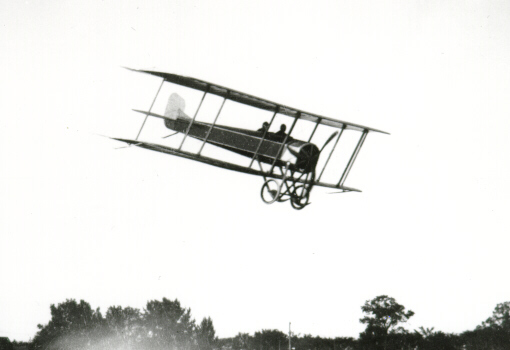 Also included in the memorandum to the Secretary of War was a request that such Air Service personnel and equipment be maintained as were necessary to continue these activities, and also that available funds be used for necessary temporary repairs that would keep Bolling Field "in its present state of operation." The needs of Bolling Field never escaped the watchful eye of General Mitchell. He acknowledged the fact that the War Department "did not consider Bolling Field as permanent" and strongly felt that the issue should be resolved. He summarized the situation in his customary forthright language: "If the question is to be agitated as to whether it is to be given up by the War Department or not, it is believed that now would be a good time to start it." The ultimate disposition of Bolling Field was still in doubt as late as 1922 when a board of officers was appointed "to investigate and make recommendations covering the choice of a suitable flying field for the location of permanent aviation activities." The board recommended that Bolling be retained as a flying field and that the most glaring deficiencies, such as poor drainage, restricted land space when flying east or west, and the lack of suitable ground for the erection of permanent quarters and barracks, be corrected. The group of advisors reported that it wouldbe possible to raise the elevation of the existing flying field and give it good drainage as soon as the temporary quarters and hangars were removed. The proceedings of the board also indicated that a large open area, which was in the process of being filled in by the engineering department, could be combined with the existing field to make an excellent aviation field. 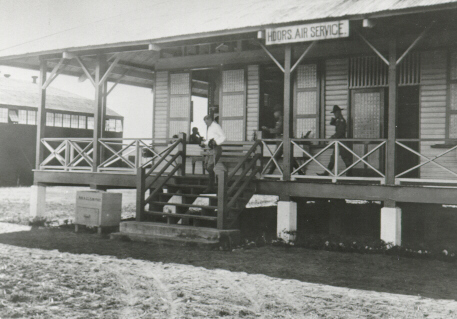 Bolling Field was officially dedicated on July 1, 1918, after the property was purchased by the War Department and turned over to the Aviation Section of the Signal Corps to serve as the primary aviation facility for the capital city. As sparse as the area might have appeared on that day, a handful of military leaders had the vision to look the field's meager beginnings as it heralded the dawn of a new era in national defense. This new threshold into military airpower was appropriately named for Colonel Raynal C. Bolling, an early vanguard in the quest for Army airmanship. The colonel had been killed during World War I by German officers near the front lines in Amiens, France.